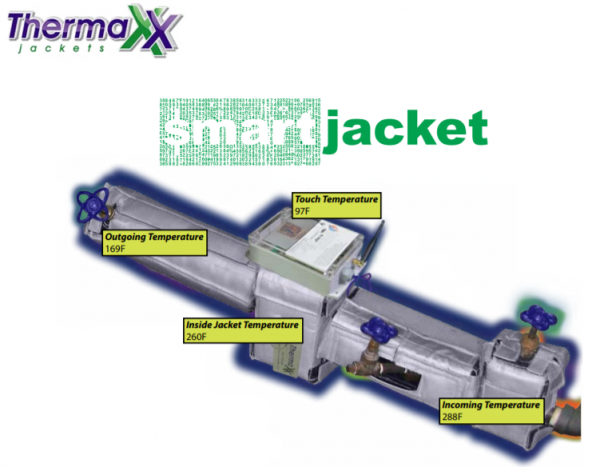 Smart Jackets are a revolutionary new insulation cover featuring a built-in wireless temperature monitoring system for steam components. 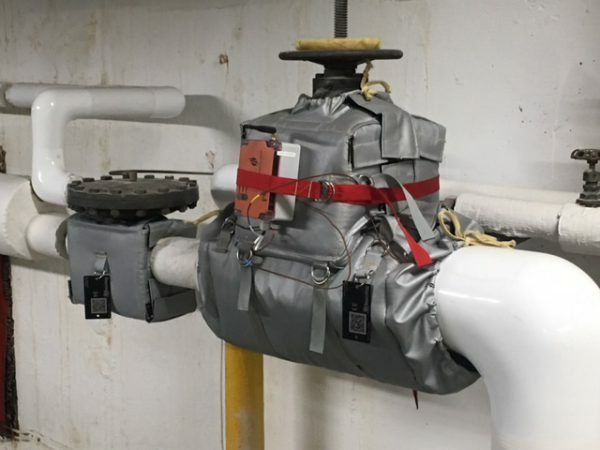 With Smart Jackets, you finally can insulate steam components, document energy savings, remotely monitor component health, and receive alerts to your phone or e-mail – all in one smart solution. 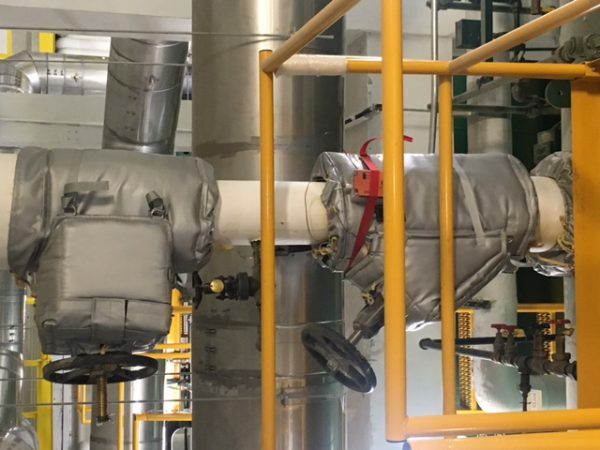 The failure of one unmonitored steam trap can cost you thousands of dollars while remaining undetected. Regular maintenance checks inside steam vaults can be very expensive, especially when confined spaces or road closures are involved. 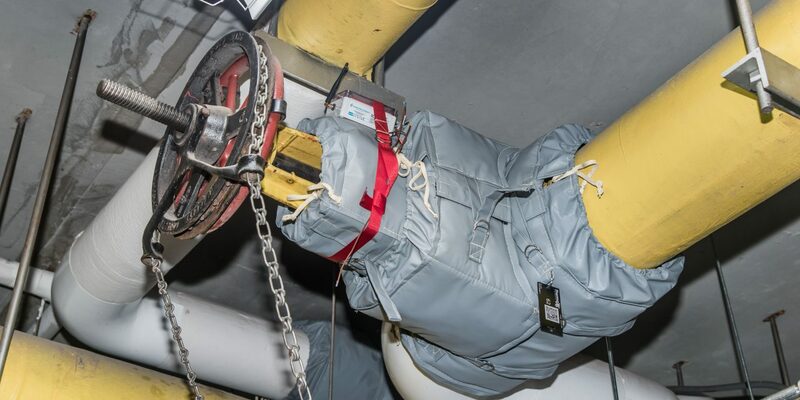 Our Smart Jackets can become an integral member of your maintenance team by alerting you of meaningful temperature changes. An easy-to-use dashboard interface lets you set up email and text message alerts to be triggered when temperatures of the sensors you select fall outside of the range you set. The dashboard is hosted on a cloud server so it can be accessed anywhere you have internet access. Steam trap monitoring has never been easier! 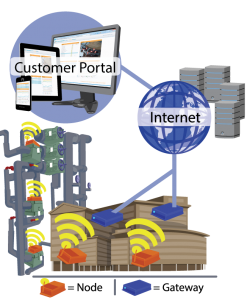 The SmartSensor Gateway communicates wirelessly with SmartSensor Nodes, logging and transmitting readings over the internet to the web based portal. Cellular connectivity is included as standard. Gateways can optionally be configured to use an in-house internet connection and/or to communicate with an existing in-house monitoring system. The SmartSensor [Node] measures component temperatures within insulation, along with surface and ambient temperatures. This information is wirelessly transmitted via the SmartSensor Gateway to the cloud for easy access & allows the end user to monitor, analyze & report on temperatures and verify energy savings. The 19-story Interchurch Center on Manhattan’s Upper West Side houses the offices of religious and community organizations. The Center’s mission is to provide a working environment that promotes a sense of community and respect for diverse religious views. 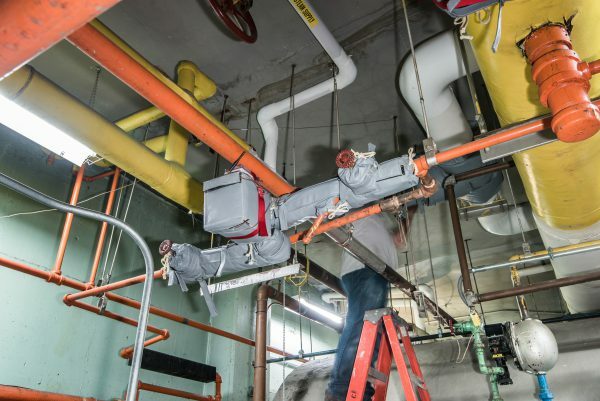 In an effort to make operations more sustainable, the Center took advantage of Con Edison’s Commercial & Industrial Energy Efficiency Program, which provides lucrative incentives for high-efficiency equipment upgrades and pays up to half the cost of a comprehensive energy audit. 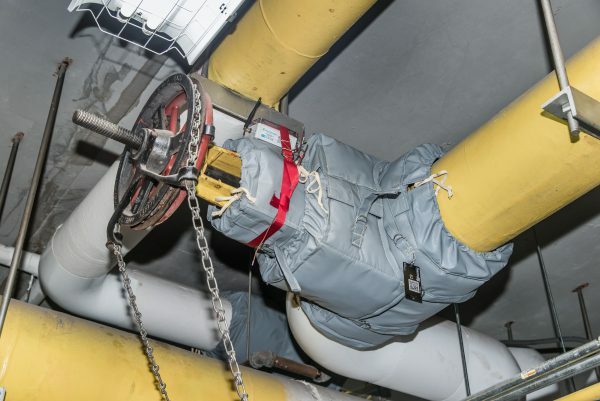 The Center called upon insulation and steam specialist, Thermaxx LLC to install custom-made, removable insulation jackets to prevent the loss of heat from HVAC components including boilers, tanks, and steam traps. 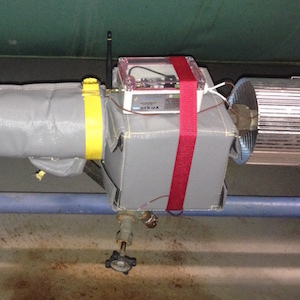 Wireless steam trap monitoring was also installed, enabling the engineers to view trap temperatures via the Web. 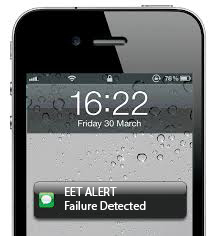 Alerts will be sent via text message and e-mail if a trap begins to malfunction, preventing costly repairs. Estimated Annual Energy Cost Savings: $48,700! Exclusive Partnership with Embedded Energy Technology makes our Smart Jackets truly one of a kind. Remote Monitoring – View data for all sensors on a dashboard that is accessible on the cloud. Receive e-mail and cellular alerts. Easy to Remove – No special skills are required to remove and replace our Smart Jackets. Nearly all of our Smart Jackets can be put into place or removed in 3 to 5 minutes. Guaranteed – 5 year guarantee on jackets and 3 year guarantee on sensors. To purchase or get more information on Thermaxx Smart Jackets, contact us! We look forward to discussing a smart solution for your insulation needs.